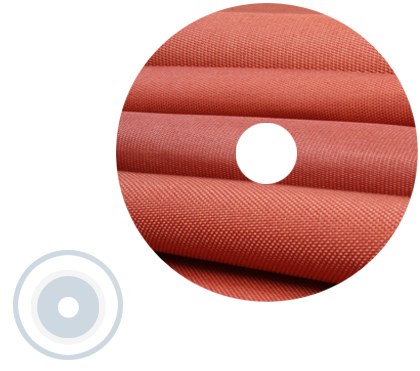 MITL has successfully held a leadership position as the manufacturer of conveyor belt fabrics. Using its expertise which has evolved steadily over a century of supplying to belt majors across the globe, MITL extends ready to use NN, EP, PP/EE belting fabrics made from polyester and nylon filament yarns imported from international suppliers. MITL is setting up a polyester yarn manufacturing unit that will enable backward integration resulting in an even better price-value advantage for its customers. Making use of advanced twisters, wrappers, shuttle less looms and fabric treatment plants imported from the best manufacturers of the world, the focus on high quality fabrics remain very high at MITL. As a result of these strengths, conveyor belt fabrics from MITL provide superior adhesion, high tensile strength, good dimensional stability, optimum stress strain properties, low elongation and low post processing growth, thus prolonging the belt life.